A carnation is one of the oldest types of flower in the world. Its history goes back to ancient Rome and Greece, and today it is one of the most popular flowers. Carnations are beautiful and fragrant, used in countless celebration and wedding bouquets. 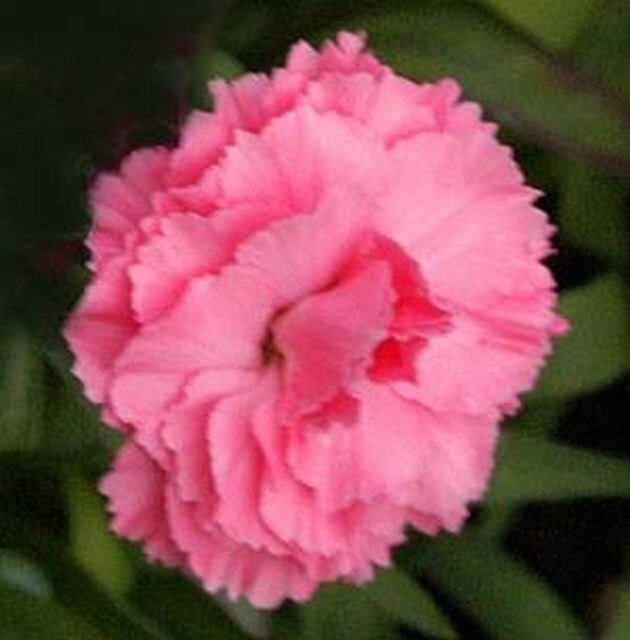 Carnations are also easy to grow in the yard. The problem with the carnation, and any flower for that matter, is that in due time its beauty will fade. There is a very simple way, however, to preserve a carnation flower so you can enjoy its bloom for a very long time. Cut the carnation in mid-day when the flower head is dry and in full bloom. Cut the stem 2 to 3 inches down from the flower head. Line the bottom of the shoe box with 20 Team Mule Borax, going 1 inch deep. Hold the carnation upright over top of the shoe box, and using a spoon, sprinkle the borax between the flower petals. Get as much in between the petals as possible. Quickly but gently, turn the flower head over and place face down on top of the borax in the shoe box. Keep as much borax as possible in between the flower petals as you flip the flower. Gently pour borax over the rest of the flower until it is completely covered. Make sure there is no part of the flower showing. Cover the container, and close it securely. Add tape to the edges if you wish. Store the container in a dark, dry area for 7 to 10 days. Remove the lid from the container when the drying time has elapsed. Slowly tilt the shoe box, letting out some of the borax. When you see the stem of the carnation and can firmly grab hold of it, gently lift it from the borax. Clean the dust and debris off the flower petals by gently brushing them with a soft artist or makeup brush. Use the flowers as you wish.